Eric Holder noted that he was not promoting violence but encouraged Democrats to be tough and to continue to fight for their ideals. 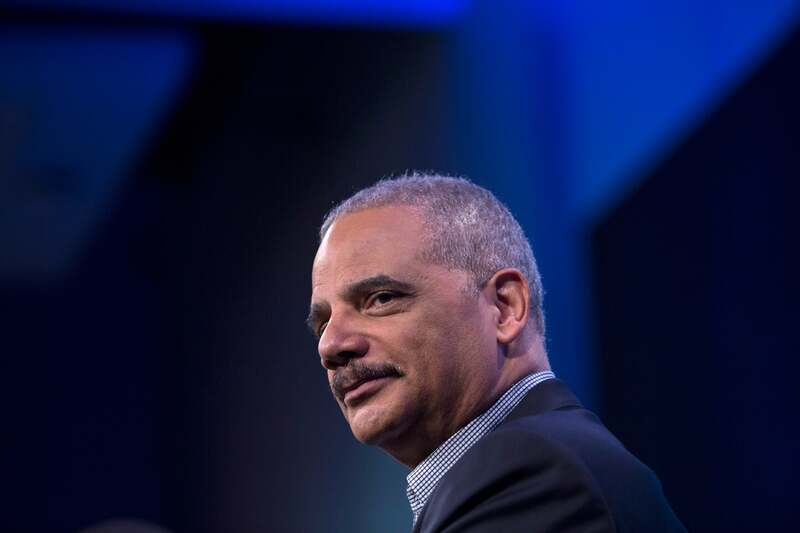 Seems as if Former Attorney General Eric Holder is down to knuck if you buck, giving Michelle Obama’s famous “When they go low, we go high,” a creative twist while campaigning for Democrats in Georgia. “That’s what this new Democratic Party is about. We’re proud as hell to be Democrats, we’re willing to fight for the ideals of the Democratic Party. We’re proud of our history, we’re proud of our present and we’re proud of the future that we can create for this country,” he added. But before you get yourself all twisted up (of course it’s too late for that but we’ll get there eventually), Holder conceded that he didn’t actually mean to start a fight in the streets. Later in his speech he clarified that by “kick them” he doesn’t mean anything inappropriate or illegal. “But we’ve got to be tough and we’ve got to fight for the very things that (Rep.) John Lewis, Martin Luther King, Whitney Young, all those folks gave to us.” he insisted. Of course, Holder’s comments drew ire from the right, with President Donald Trump lashing out on Fox & Friends, according to the Hill.